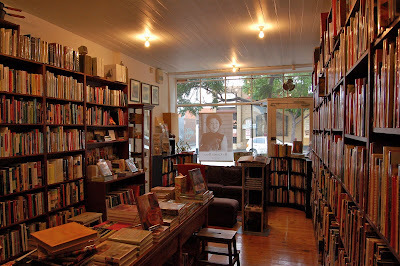 As chance would have it, two doors down from Gertrude Street Enoteca sits a bookshop. Standing infront, window shopping, a realisation came over me. This is no ordinary bookshop. 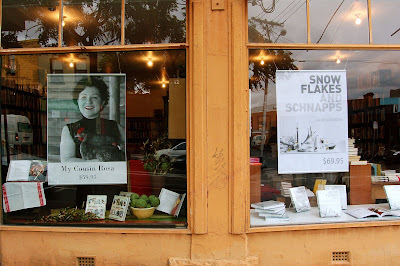 Every single book or poster in the window is about food. A quick glance at the name and my dreams come true. A bookshop purely for the pleasures of cooking and food! I ran inside, and I did not know where to look. Stacks upon stacks of books, all calling out to me, whispering sweet nothings into my ear. I was like a foody kid in a Valrhona store. A quick chat to the owner told me that Books for Cooks has been open for around 10 years now. 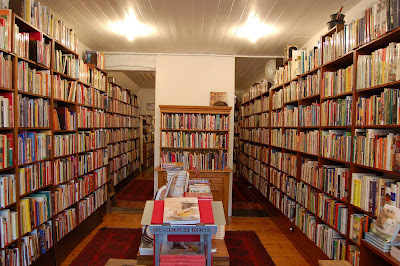 I made a joke about finding somewhere that had more cook books than I did, and was quickly shot down even further, told that there were two other rooms packed full of books! There also was going to be another shipment of books coming in soon. The great thing about Books for Cooks is that they have a mail order service, and you can send them an email to check if they have your favourite book. So if you are in the market for a specialist food book (as I often am), which is rare, or out of print, get in contact, and they should be able to sort you out! Since I’ve arrived to Australia in 2001, I’ve had the chance to see the food scene in Sydney blossom and grow in inverse proportion to the size of foam bubbles in cappuccinos. Getting a good feed around here is getting easier by the day, what with all the fantastic chefs we have opening new restaurants and seducing us with thoughtful, concentrated and enticing menus. However, if you follow this blog, you would agree if I said that it is not my habit to review restaurants (not online anyway). So in the coming few entries, you will see this change somewhat. My trip to Melbourne has injected me with tonnes of excitement, and my camera is packed with some delicious photos. But let me step back first, and make it clear that my intention is not review Melbourne’s restaurants, but rather share an amazing weekend away. The restaurants I’ll be discussing are integral to my experience, as they were the focal point, and if it the place was not worth it, I am not going to include it. April 26th 2008: Lainy and I have just tied the knot, and are in the hotel waiting to catch a cab to the airport, for a 4 week culinary journey to Japan and France. All cashed up with the generosity of friends and family and about to have the best month of our lives. April 24th 2009: One year later and Lainy has not left me yet! Hurrah! This year, the trip will be domestic, and Melbourne is the destination. Sydney’s top foodie (and I mean that honestly, but no name dropping here) had provided me with tailor made lists of restaurants that are a must for our trip, but the main reason why Melbourne is the city of choice was simple: Greg Malouf. A few months back, I was reading through Greg’s fine book, Saha. I can not stress the importance of this book enough. This is a unique travel log by one of Australia’s finest, documenting the impressions and emotions that the food cultures of Lebanon and Syria can impart on a man whose mind is ready to take it all in, and draw and mix those experiences with the expert eye and knowledge of a master chef. And it was as I was reading through that I decided to email Greg and express my admiration. Unbelievably, Greg answered my email, and extended an invitation for me to visit him at his Melbourne restaurant MoMo. Greg had only recently reopened MoMo and there was a lack of literature on this new venture, so I was not sure what to expect, but I knew one thing, it was going to be worth the trip to Melbourne. And boy was it worth it! Now, I don’t want to jump ahead of myself, so let me list down the places that I will be covering in the next few posts. This cool little space is run by Maggie who is possibly the friendliest person you will ever meet, so if you are ever in Fitzroy, make sure you stay there. 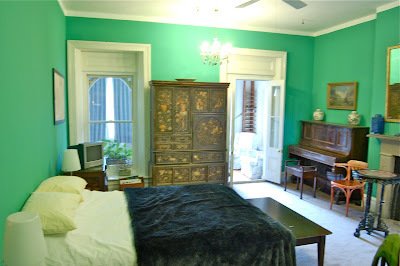 The hotel has a very communal feel to it, very befitting the area of Fitzroy, which is very similar to Newtown, with the difference that you can get some fine tipple even at cafe’s, which are abundant. So, for a morning coffee, having just arrived from the airport, first on our list is Gertrude Street Enoteca.